No-one likes to lose their hair, whether they are male or female, but it’s a reality that some people have to deal with. There are lots of reasons why hair loss can occur and not all of them mean you have to accept losing your locks as being permanent and inevitable. Here’s a look at some of the most common causes of hair loss. It’s not an old wives’ tale, stress really can make your hair fall out and it’s one of the most common causes of hair loss. 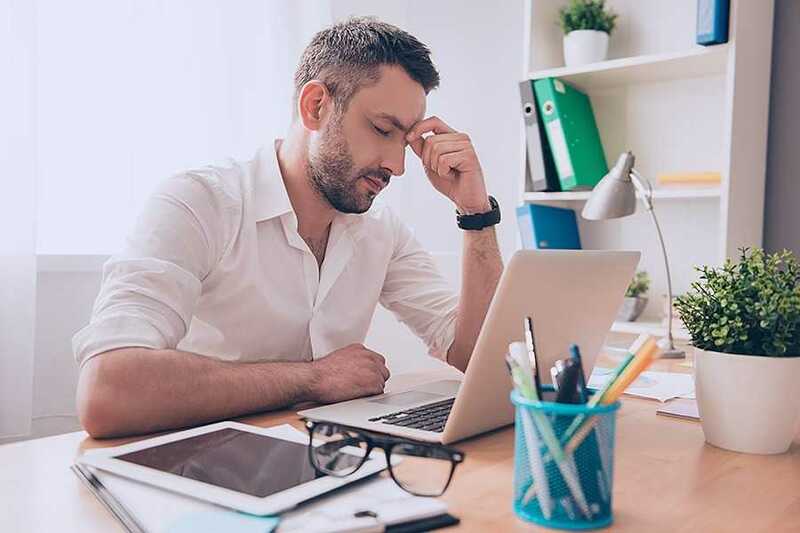 If you are put under excessive amounts of pressure for a prolonged period of time, such as moving house, going through a divorce or changing job, the effects of the stress may manifest as thinning locks. However, emotional stress won’t actually be the sole cause of hair loss; it tends to merely exacerbate any thinning or loss of hair which was already occurring or on the horizon. Physical stress is a different matter and can directly cause hair loss due to a condition known as telogen effluvium. This condition causes abnormalities within the hair cycle process and leads to excessive amounts of hair being shed before the strands would normally be ready to enter into this phase. The good news is that telogen effluvium is entirely reversible and although it may start 3-6 months after the event, it will eventually subside as your body recovers from the ordeal it experienced. Examples of physical stresses which could lead to this include a car accident, surgery or even a severe illness such as flu. If you’ve been brought up believing that there’s no such thing as too many vitamins, you might have to rethink your philosophy. If you’re taking vitamin supplements, too much Vitamin A can actually cause more harm than good, causing hair loss. On the plus side, this is an effect which is very quickly corrected so once you reduce your Vitamin A intake, the hair loss should reverse. While an excess of Vitamin A can cause hair loss, a deficiency of protein can do the same thing. If there’s not enough protein in your diet for your body to meet all the necessary functions, your hair will be the loser. Around two to three months following the drop in protein the body starts to compensate by shutting off the supply to the hair, causing hair loss. Upping your intake of protein can help to reverse the hair loss. Foods such as fish, eggs and meat are all good sources of protein. Even if you are planning to shed the pounds, a significant drop in your weight can cause your hair to thin. Losing a lot of weight within a relatively short period of time can cause shock to your system and this translates into a temporary hair loss. This doesn’t mean you should lose excess weight as the benefits to your health will outweigh any negatives. Within around 6 months, you will find that the hair loss naturally corrects itself and any thinning or losses are reversed. Approximately 1 in 10 of all women aged 20-49 suffer from iron-deficiency related anaemia, a condition which can leave you feeling tired and lacking energy. Anaemia must be diagnosed via blood tests from a doctor but once confirmed; iron tablets can resolve the condition, including the hair loss. There can be lots of different causes of hair loss, and many can be reversed once the trigger is identified. If the hair loss isn’t reversible there are other treatments which can help; for more advice about what could be suitable, you’ll need some expert advice from hair loss specialists such as the Wimple Clinic.